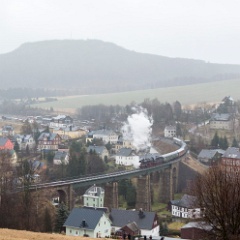 Fichtelbergbahn & 50 3648 on the mainline. 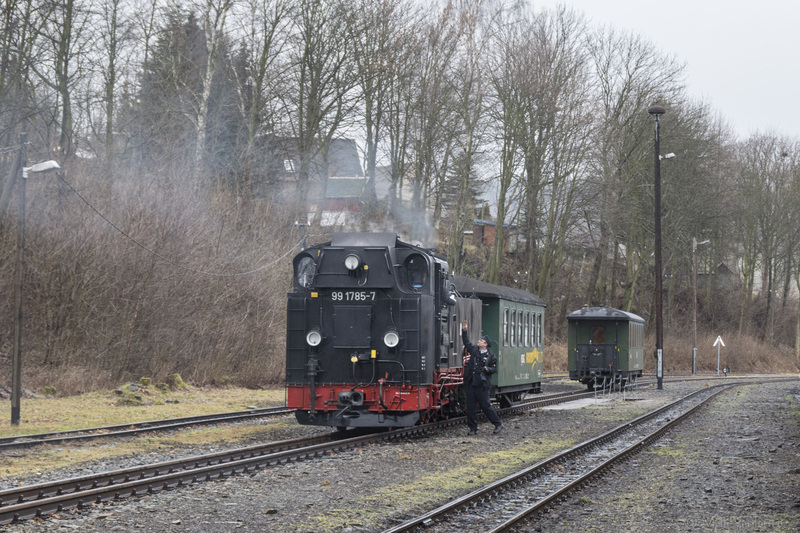 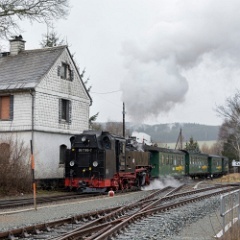 1 The view forwards leaving Wolkenstein in unit 642 697. 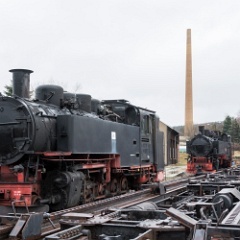 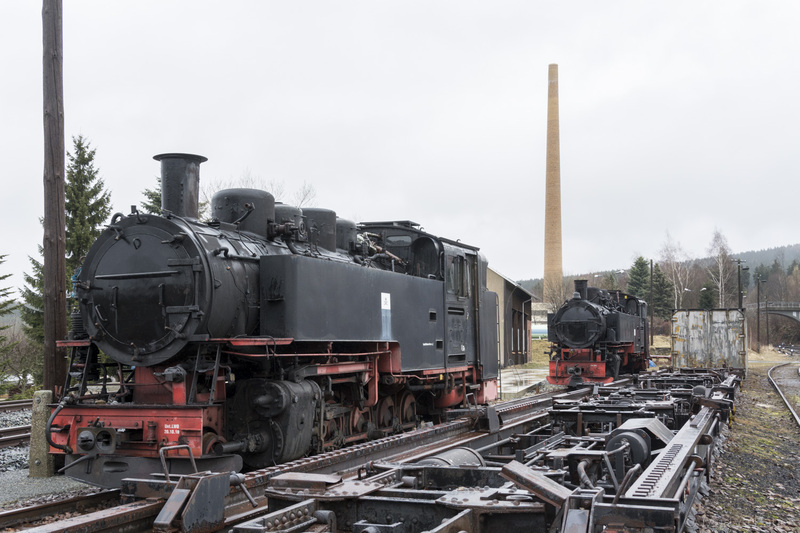 2 VIIk Neus 99 786 and, behind, 99 794 at Cranzahl alongside transporter wagons. 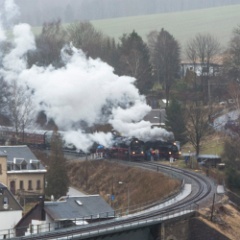 3 642 697 between turns at Cranzahl. 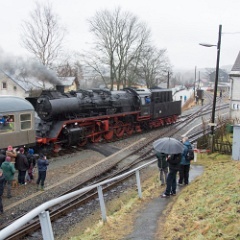 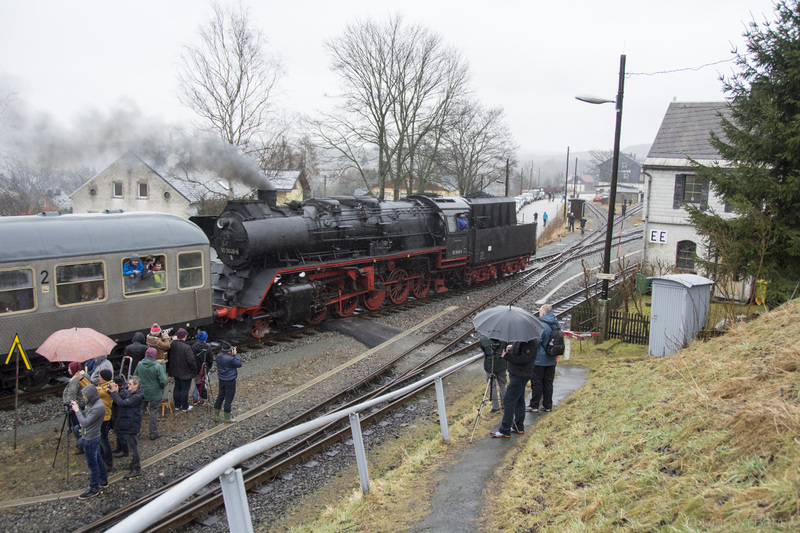 4 99 1785 arrives at Cranzahl with the 10:14 from Kurort Oberwiesenthal. 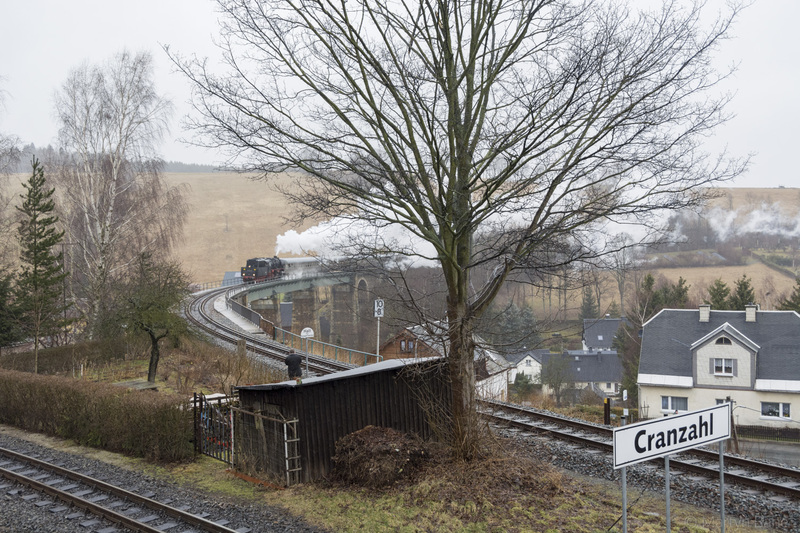 5 99 1785 drops a coach off in the yard at Cranzahl. 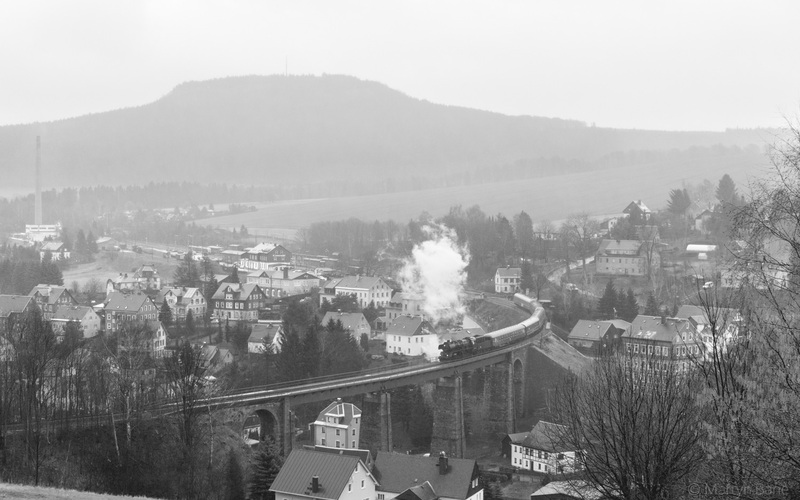 6 On its 75th birthday train 2-10-0 50 3648 climbs across Cranzahl viaduct. 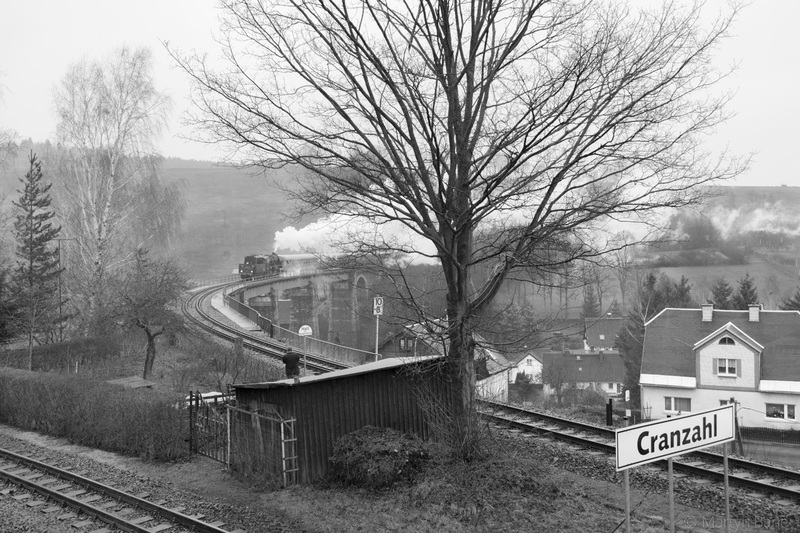 7 Or, if you prefer, in colour. 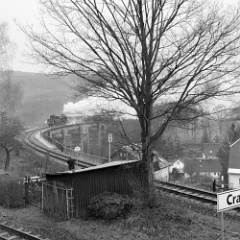 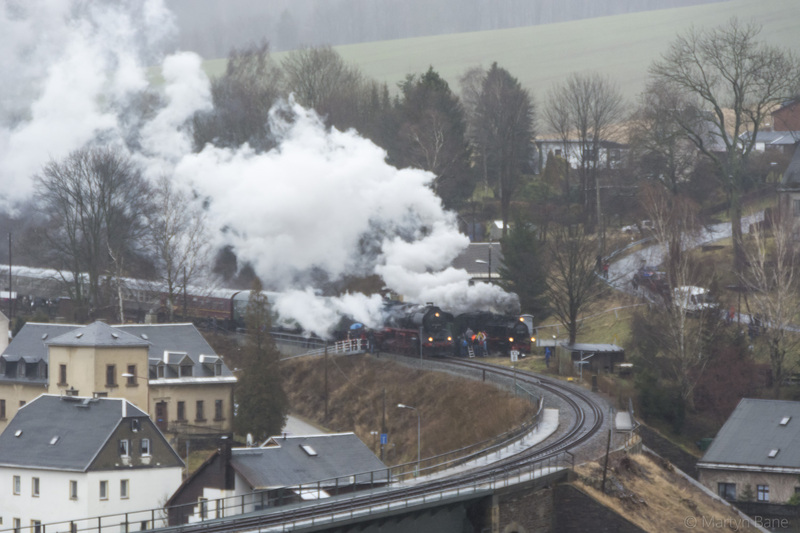 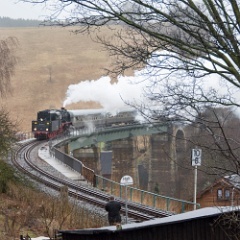 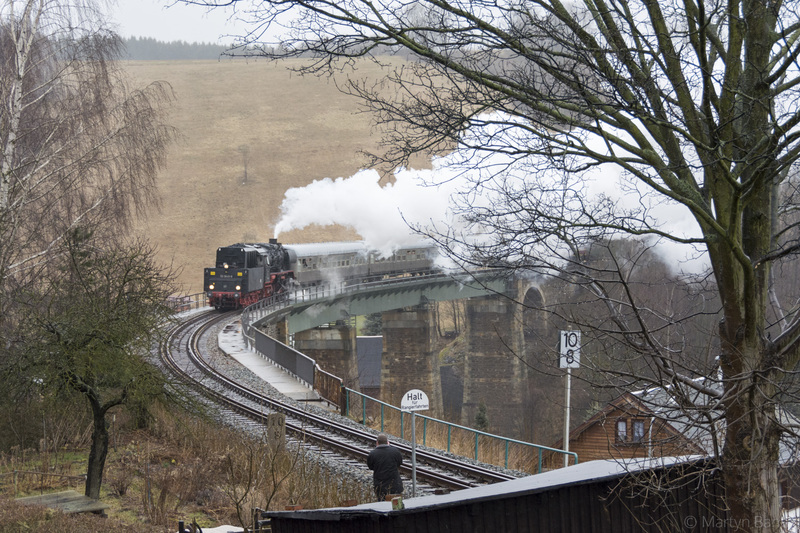 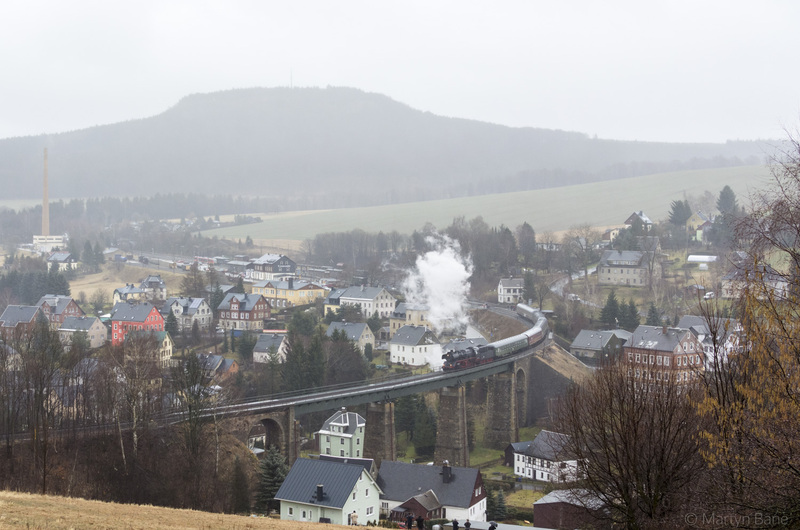 8 50 3648 crossing Cranzahl viaduct. 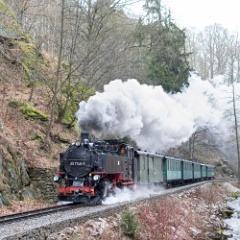 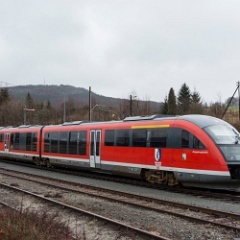 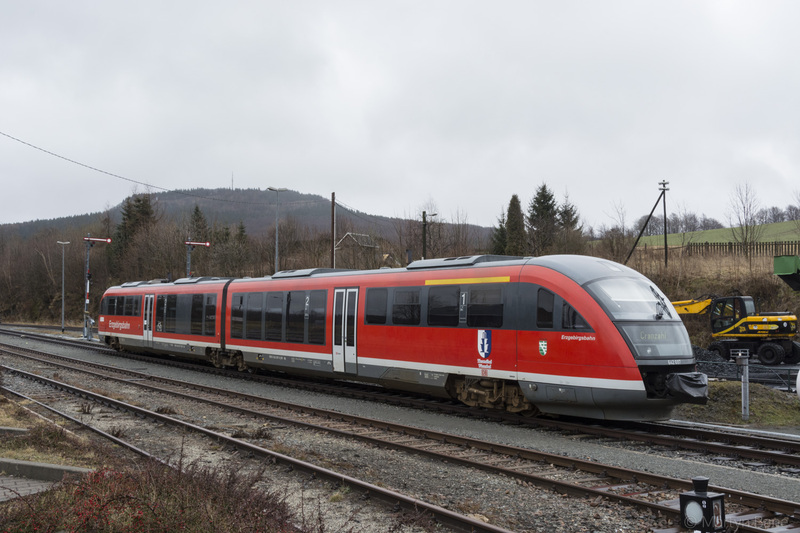 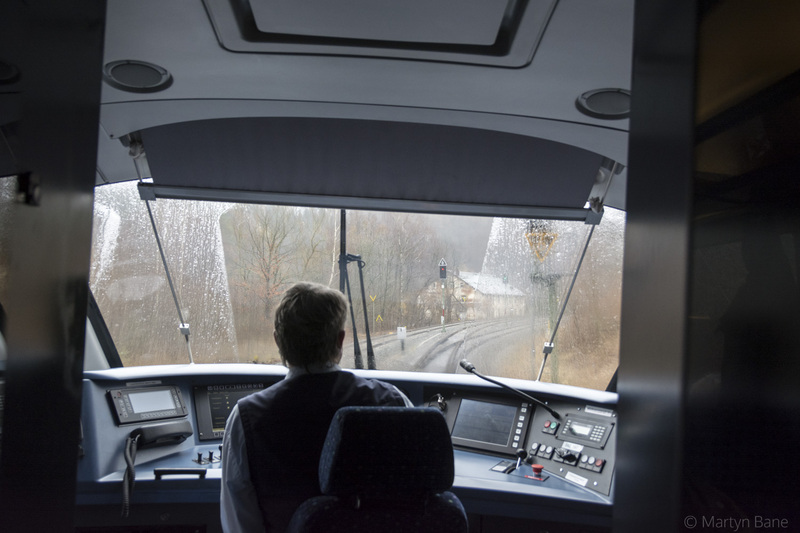 The train started in Chemnitz running via Schwarzenberg and Annaberg to Cranzahl before returning to Chemnitz via Wolkenstein. 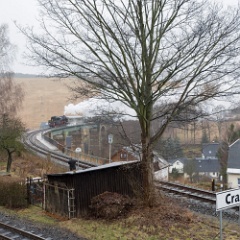 9 50 3648 runs into Cranzahl. 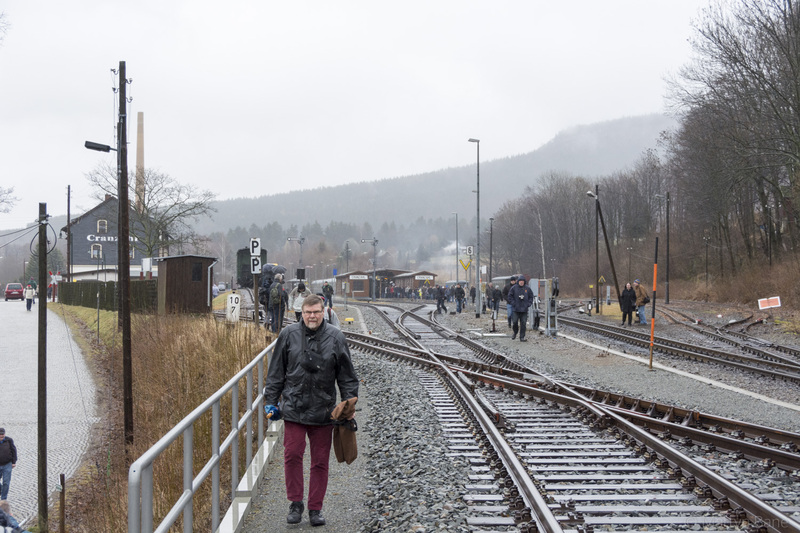 10 German railway health and safety part 1, no one cared and no one got killed either. 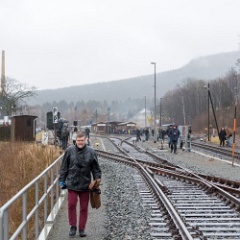 11 German railway health and safety part 2, can you imagine this in the UK?! 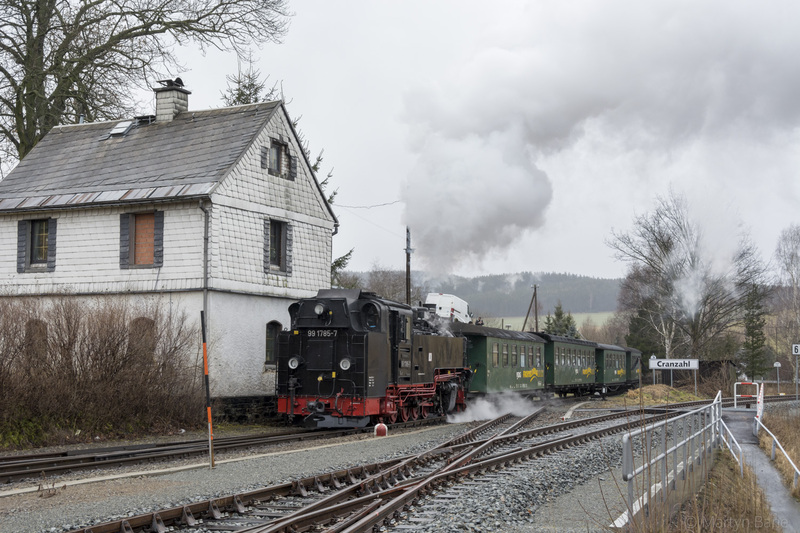 12 A staged parallel departure of 50 3648 and the Oberwiesenthal bound VIIk. 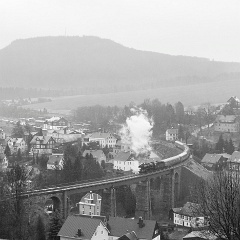 13 50 3648 sets out across Cranzahl viaduct. 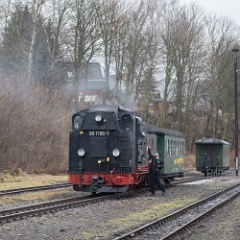 14 Or in colour and rain!